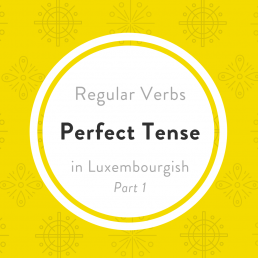 Today you’ll learn how Luxembourgish separable verbs are used in the perfect tense. 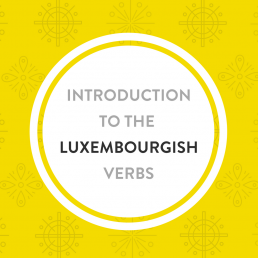 If you have not yet read the lesson where you learn the most used Luxembourgish verbs with sinn to build the perfect tense and the lesson where I explain how to build the perfect tense with regular verbs, make sure you do so before reading this lesson. If you don’t know what separable verbs is I also recommend that you read this lesson. Let’s take the regular separable verb nolauschteren (to listen to / to obey). Hatt huet mir guer net nogelauschtert. – She didn’t listen to met at all. 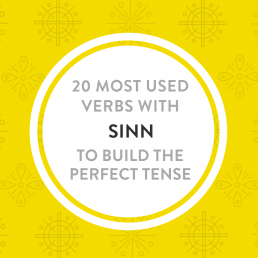 Learn the past participle of the 25 most used irregular verbs. Ech hunn d’Kanner um 4 Auer an der Schoul ofgeholl. – I’ve picked up the children at the school at 4.00pm.